This new trailer for FINAL FANTASY XII THE ZODIAC AGE that gives players a closer look at the game’s beautifully remastered visuals and soundtrack. Players will be able to experience the intrigue of FINAL FANTASY XII’s story like never before with enhanced high-definition graphics and the Zodiac Job System, allowing players to pick two of 12 jobs in a character progression system first introduced in the Japan-only release, FINAL FANTASY XII International Zodiac System. The title will also feature a remastered soundtrack, 7.1-surround sound, speed mode, an auto-save feature, faster loading times, a new Trial Mode and more. 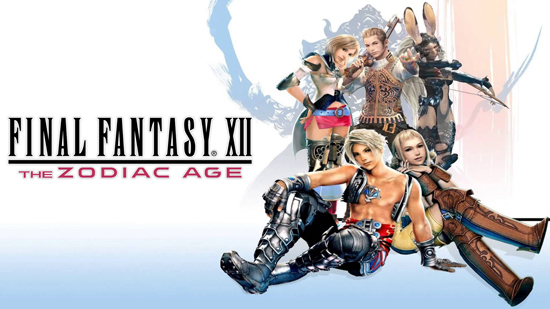 Originally launched in 2006 for the PlayStation 2 system and known for introducing many landmark features to the FINAL FANTASY series, FINAL FANTASY XII takes place in the grand world of Ivalice, where the small kingdom of Dalmasca is caught between warring empires Archadia and Rozarria. The lone heir to the Dalmascan throne, Princess Ashe has devoted herself to forming a resistance to liberate her homeland while Vaan, a young thief, dreams of flying free in the skies. The story begins when these two fated individuals meet, changing the destiny of the world’s greatest nations.